Once you decide that you want to make the Outer Banks a part of your life, the next step is to get to know the area and call it your own. No matter where you live around here – or for how long during the year – there are certain things you can always look forward to: great weather, a laid-back lifestyle and lots to do, for starters. Did you know that you can go kayaking out of Kitty Hawk? Or that the shipwrecks off the coast date back to the 16th century? From horseback riding to hang gliding to history, there's something to check out everywhere. You can spend your whole day in your bathing suit, or take up a brand new hobby like golfing, boating or fishing. While we have homes for sale in several towns, let's look at the three main OBX regions, from north to south. Think of it as a virtual road trip to help you discover what each Outer Banks town has to offer. Located on the northern end of the OBX, you'll find the Outer Banks towns of Corolla, Duck and, believe it or not, Southern Shores. Don't let the name of that last one confuse you: it's actually in a convenient spot on the northern half of Route 12, easy to get to if you're driving over from the Currituck mainland. Just 1 mile wide and 4 miles long, Southern Shores is a combination of maritime forests, quiet beaches, biking and walking trails, and a handful of restaurants and shops-making it an ideal spot for families who want to be (not quite) away from it all. Leave Southern Shores and head further north on Route 12 and you'll find yourself in Duck, a quaint village where shopping, restaurants, and water sports are all within walking distance. Surrounded by the Currituck Sound to the west and the Atlantic Ocean to the east, Duck offers some of the nations' most beautiful beaches. If you like a bit of seclusion, head all the way north, and you'll find Corolla. 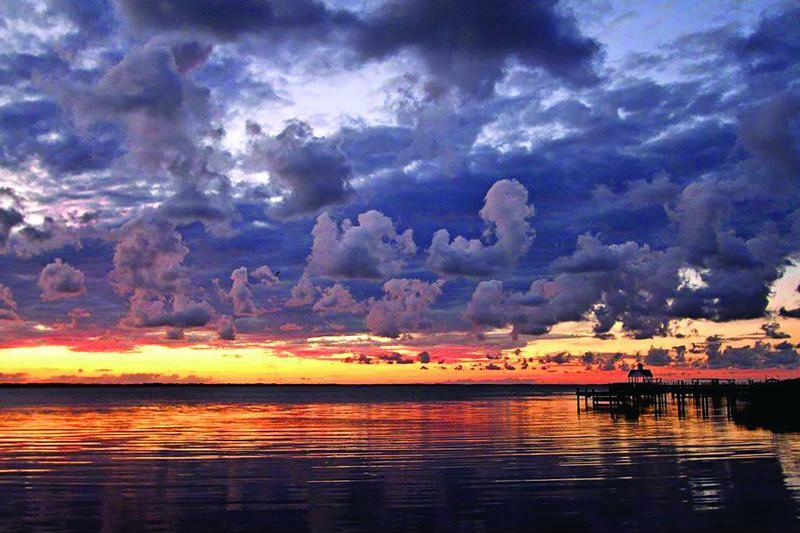 Nestled in beautiful Currituck County, Corolla is the northernmost town on the Outer Banks. Although quite a bustling town in the summer, the "off season" in Corolla provides residents with much privacy and "down time," as many summer attractions and restaurants close – re-opening in late spring. Just beyond the town of Corolla, you'll find Carova – the northernmost Outer Banks community, and is only accessible by the unpaved beach. Made up of only a few neighborhoods and accessible only by 4×4 vehicles, Carova offers miles of undeveloped, open beaches, perfect for a day of surf fishing, combing for beach treasures, or just enjoying your own little slice of paradise. And keep your eye out for the wild horses – descendants of Spanish Mustangs, these beautiful creatures inhabit this area and roam freely. "Take a virtual road trip to help you see some of the sights." Even people who've never been to the Outer Banks have heard of Kitty Hawk, Kill Devil Hills and Nags Head. This region is a must for history buffs, with the famous site of the Wright Brothers National Memorial nearby, and there's enough interesting local lore here to keep you occupied full-time. Rather take to the skies yourself? Nags Head is home to Jockey's Ridge State Park, where you can enjoy hang gliding lessons and kite flying as you enjoy the scenery. There's lots of things to enjoy about life on the Outer Banks. Head further south and you'll pass Roanoke Sound and the island of Roanoke itself. We could spend the whole blog talking about this place, but it's worth noting that this part of the Outer Banks has a variety of attractions including The North Carolina Aquarium, Festival Park, Fort Raleigh, The Lost Colony Outdoor Drama and more for you to discover. Finally, we reach the lower end of this barrier island, where you'll find the Cape Hatteras National Seashore – home to both Hatteras Island and Ocracoke Island. One of the largest preserved parcels of the Outer Banks, this national park includes 70 miles of wide pristine beaches, full of sea turtles, birds, and lighthouses – providing visitors with recreation galore. There's something for everybody to enjoy down here on this remote part of the Outer Banks, known for a slower pace and more relaxed vibe. Historic lighthouse? The Cape Hatteras Lighthouse is located in the heart of Buxton. Fishing? With the proximity to the Gulf Stream, Hatteras Island is one of the best surf fishing destinations in the world. We hope you enjoyed our online trip. Learn more about OBX homes for sale and you could soon be experiencing these beautiful towns for yourself!